Abstraction, in its literal sense translates to a visual language of form, colour and line; thereby creating a composition that may or may not exist. I interpret it as a non objective, non representational, non figurative elucidation of a departure from reality with a fair degree of independence from the common visual and perceptible references in the world. The departure can be slight, partial or complete. Perhaps anything that is recognizable is not abstract in the true sense, yet it provokes your intellect and mind to perceive beyond the known and the identifiable commonalities of human expressions and forms. Not all of us may be able to live Picasso in our real lives; yet, the surreal and the real merge outside the boundaries of reason in an unplanned scheme of events and one day, from what may seem logically “absurd” evolves a new form...an abstraction, independent of predecessors, contemporaries or followers. And those are the times when the mind is free from fear of known analogies. I see the blueness of heaven in this...you may visualize the deep intense pain. I seek the light through the blue outside, you may look within and find a light. Very nicely written and thought provoking too. I was reading on Quantum Mechanics(physics) the other day and was thinking about reality a lot. Perception plays a big part in what we percieve as reality...You said it right, an unihibited mind may be the key to reality and beyond!! Really enjoyed the posting. Thanks for sharing. Harold Bloom might contest that.But yes,Ananya,is it not a "transcendental signified"? Question of reception may well veer round the the universals positing an abstract notion of an work of time.Contingencies of time somewhere blur and Time and No-time or an extra-temporality take over.We see something 'as'.Svetlana Alpers so thoughtfully said.Somehow we see through...beyond.A phenomenological reading of abstract art might offer a new consciousness of art's possibilities.It's time we searched layers into the blue sky....the gorge here is nothing less than an abyss of time or timelessness. Once again, a very profound, reflective and touching piece of work. Hats off to you. That is why I like to read your work soo much. After readi9ng this, I went back to your AmiAnanya and read The Zahir once again......thanks so much for sharing with us such piece of writing..”"
is there really anything real ??? aren't we conditioned to follow and believe the known logic and reasoning,our vision tunneled ........... its a great relief to read your views ........... i like your unreal reality !! On account of your surreal abstractism, I must say that the painting adds a real dimension to it. Without it I would be thoroughly lost in the alley of imperceptibles. Being a conventional commoner- more frequent than even Rabindranath’s “Shadharon Meye”’s kind, I am to a certain extent, sluggish to fathom anything that goes beyond the crude earthly reality. But at the same time I appreciate and admire one’s endeavour to comprehend the non reprensentational expressions. It’s indeed a deep writing! Thanks for sharing with me. "Hey Ann!Yet another engrossing read frm yr desk! :) Adored it..as alwayz..:)About abstraction,i hv always felt a strange attraction wth the subject..n as a pupil of photography n visual arts-i hv alwayz appreciated n attempted to indulge in abstraction..! Really nice thought feeling writing! Amazing piece really it 'Beyond Reality" & specially the awsome closing Lines by you "I see the blueness of heaven in this...you may visualize the deep intense pain. 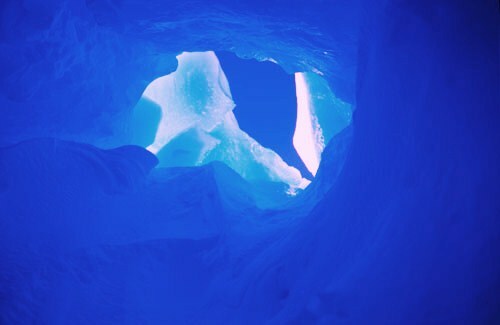 I seek the light through the blue outside, you may look within and find a light. " speaks volume of your writing skills...Keep it up!!!!" So well said!! Every word seems to have lot of beautiful meaning(s) which could make one think, think and re-think so deeply enough to come up with mixture of thoughts!